Jason Scorse received his PhD in Environmental Economics & Policy at UC-Berkeley under Michael Hanemann and Ann Harrison. He is currently Associate Professor and Chair of the International Environmental Policy Program at the Middlebury Institute of International Studies at Monterey. 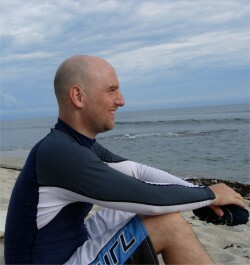 Professor Scorse is also the Director of the Center for the Blue Economy, the parent program of the NOEP. Dr. Scorse has published articles in American Economic Review, California Management Review, and for books published by the Brookings Institution and Routledge Press. His book, What Environmentalists Need to Know About Economics, was released in 2010. Professor Scorse also sits on the board of the Monterey Bay National Marine Sanctuary Research Activities Panel and The Otter Project. 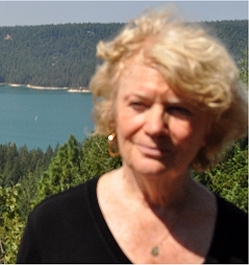 Dr. Judith Kildow is founder and Director of the National Ocean Economics Program (NOEP) (oceaneconomics.org) in the Center for the Blue Economy at the Middlebury Institute of International Studies at Monterey, California. Her research bridges science, economics and policy, identifying how economic activities and ocean changes affect each other and influence policies. She spent 25+ years on the faculty at MIT, in the Department of OceanEngineering, was Senior Social Scientist at the Monterey Bay Aquarium Research Institute, James W. Rote Distinguished Professor, California State University Monterey Bay, Research Faculty/Senior Fellow at Harvard University, University of Southern California and University of Vermont. Dr. Kildow has an AB in Political Science from Grinnell College and a PhD. in International Relations and Science Policy from The Fletcher School of Law and Diplomacy, Tufts University. She was a member of The Presidential Commission, NACOA, has served on National Academy of Sciences boards and committees, on federal and state government, corporate and editorial boards, and has published and lectured widely in the fields of coastal and ocean policy and economics. More recently, she has given talks in China, Korea, Italy, Ireland, France and England, and throughout the US, about the value of oceans and coasts and the high risks from climate change impacts to our shores. Her current focus is the importance of the Arctic to understanding the economics of climate change. Charles S. Colgan is currently the Director of Research and Editor in Chief for the Center of the Blue Economy, NOEP's parent organization. He was a founding member of NOEP and developed the methodologies and algorythms for the ocean and coastal economies. He is also the author and coauthor for most of NOEP's research papers. Dr. Colgan was formerly a Professor of Public Policy and Management in the Edmund S. Muskie School of Public Service at the University of Southern Maine, the Chair of the Muskie School’s PhD Program in Public Policy and a Senior Research Associate in the USM Center for Business and Economic Research. His long term economic forecasts are used by the Maine Department of Transportation and the Economic Development Districts of Maine. Prior to joining the University of Southern Maine, he served in the Maine State Planning Office, was State Economist, and Director of Natural Resource and Economic Policy. He received his B.A.from Colby College and received his Ph.D. in economic history from the University of Maine. Pat Johnston joined NOEP as the Information Systems Manager in December 2003 with decades of I.T. experience. For the past 20 years, he has specialized in data analysis and internet information systems based on relational databases and client server technologies. He has been a consultant with major Silicon Valley computer manufacturers including Hewlett-Packard and Cisco Systems, designing and building interactive information systems. 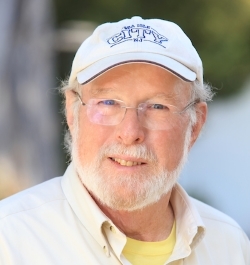 Prior to his consulting business, Pat was a programmer and information systems specialist for Stanford University and Santa Rosa Junior College, and taught classes at local community colleges. Mr. Johnston received his B.A. in Mathematics and Statistics from the University	of West Florida with a minor in Psychology. After a few years as a teacher and juvenile counselor, he continued his education in data processing and computer science at U.C. Berkeley and community colleges.